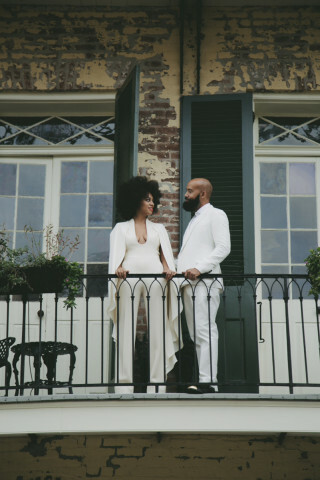 Solange Knowles was married this past weekend in New Orleans to video director Alan Ferguson. 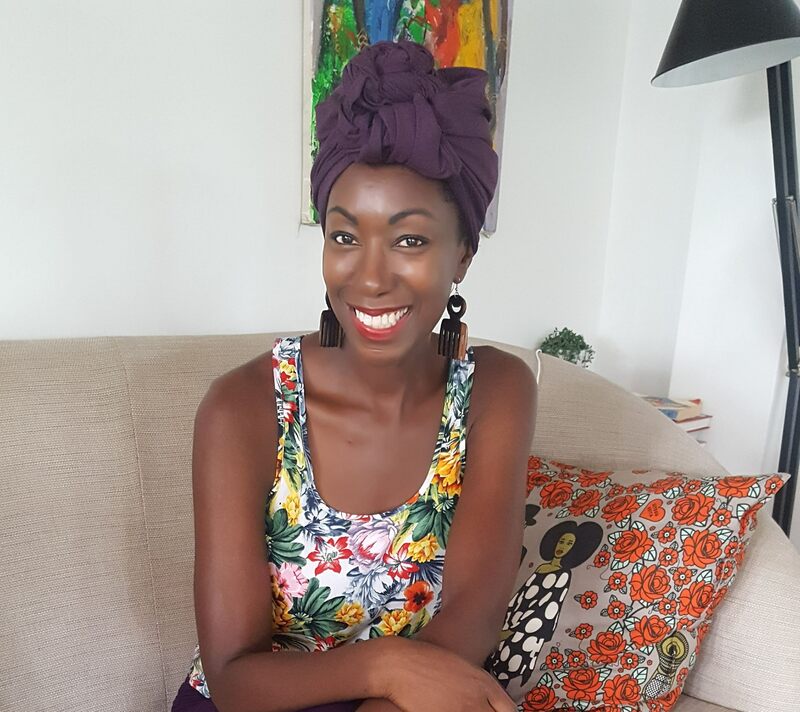 The singer is known for dancing to her own beat when it comes to fashion and she didn’t break that tradition on her wedding day. 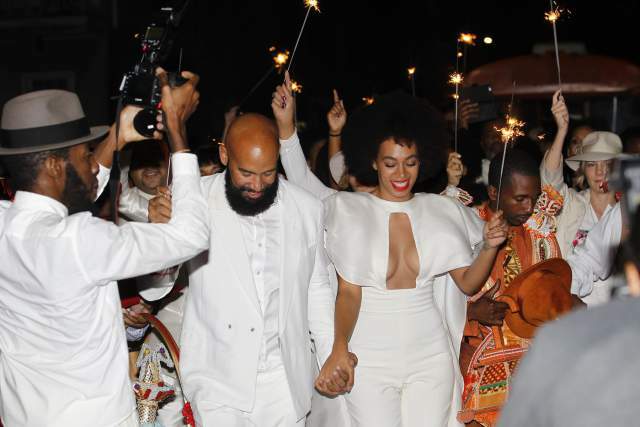 The wedding festivities began on the Friday night with guests attending a movie night to see a film the couple watched on their first date, Mahogany. 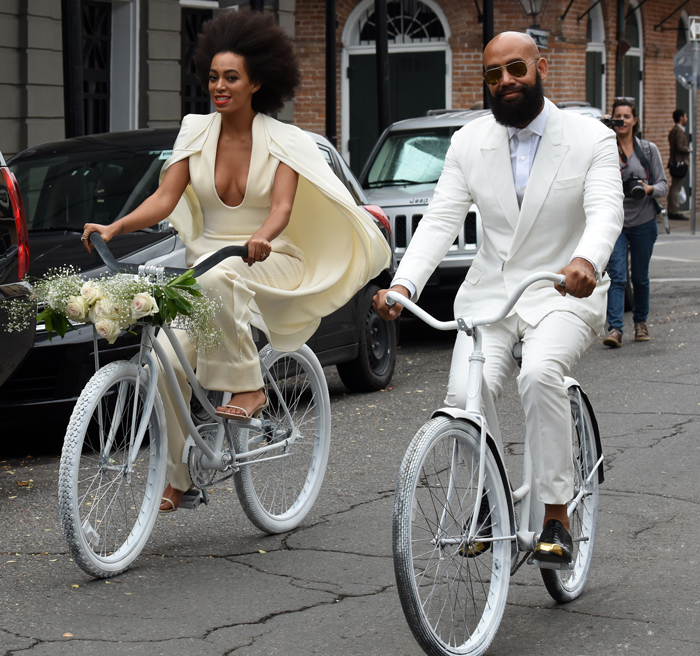 The pair arrived for their ceremony on white bicycles which added an element of simplicity, yet was such a romantic way to make an entrance. Unfortunately the groom’s bike ended up with a flat tire and he had to walk his bike the rest of the way. 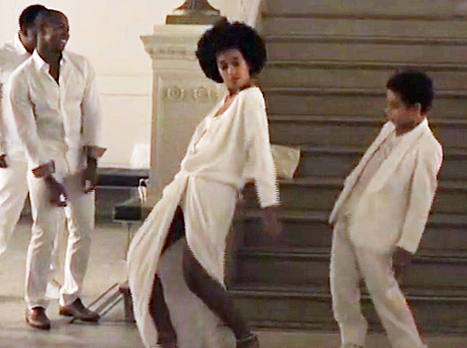 Solange wore a low-cut, cream coloured jumpsuit with a split-back cape by Stephane Rolland. Her groom donned a white suit. 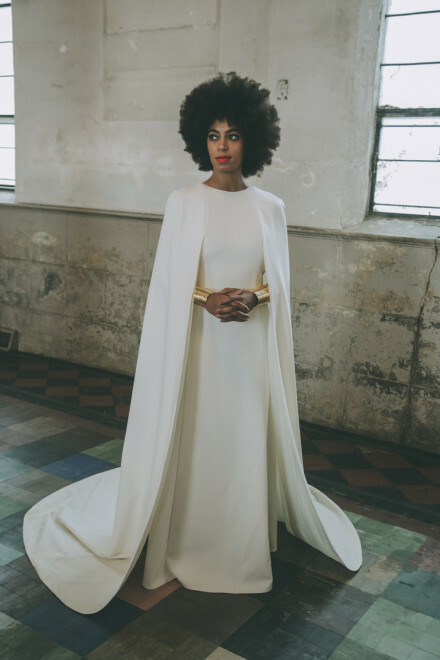 When it came time to take her formal wedding, Solange looked like a queen in a custom gown by Humberto Leon for Kenzo. The floor-length, high-neck dress had a long cape that hung over the shoulders to the floor. 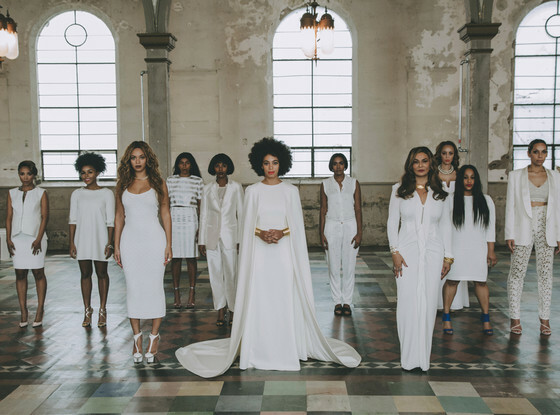 The bride gave her bridesmaids the freedom choose their own dresses. 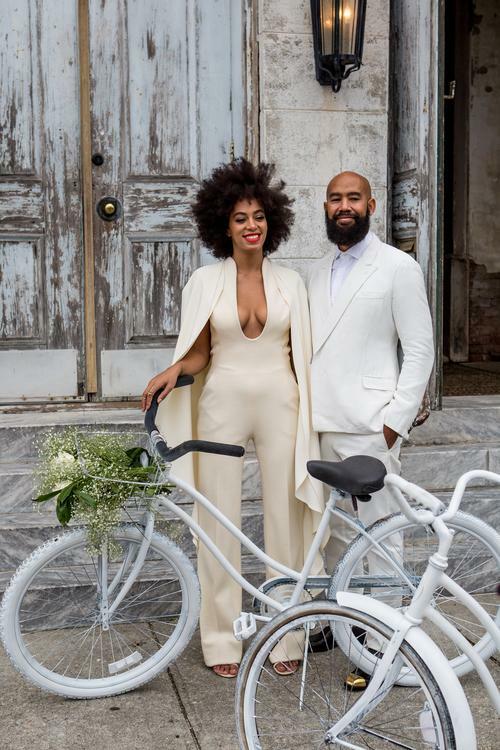 The wedding guests were all asked to wear white as a sign of unity. 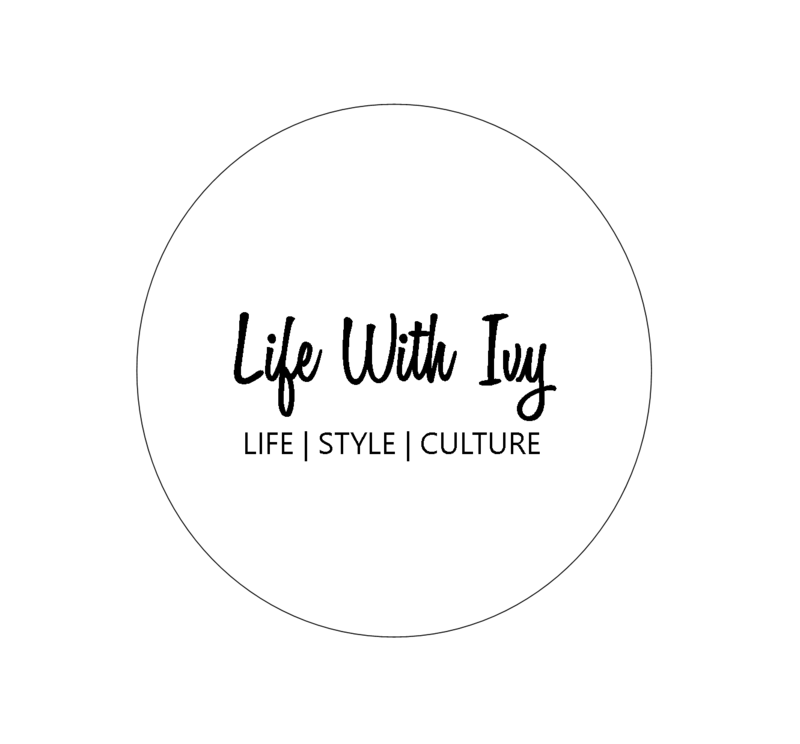 Similar to Kelly Rowland’s wedding. The location of the ceremony was transformed into a reception hall with guests seated at two long tables that were the length of the opera house. The meal was a four-course Southern menu truly representing the taste of New Orleans including shrimp, oyster and artichoke bisque and pineapple foster. They wrapped up the night by taking everyone on buses to Esplanade Street where they danced and partied on ten blocks with a live band performing. The bride dances with her son Julez. A celebration in New Orleans on Esplanade Street.